Ocean Front Panoramic Vistas! Miles of Sandy Beach! Hot Tub! Dog Friendly! Free Night! Stay relaxed vacationing at Alicia by the Sea. Redecorated and newly furnished in 2018, this Sweet Home is loaded with amenities to please you! 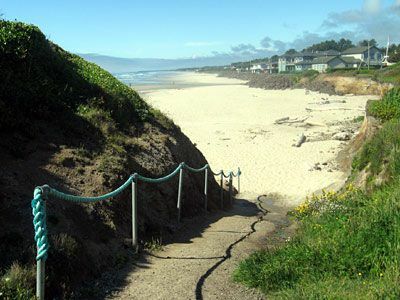 The beach access is fantastic with a private and very easy path right off the deck. 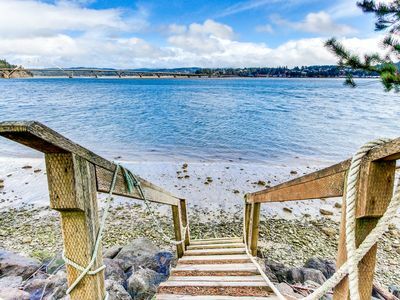 It leads you onto a pristine 7 mile beach! 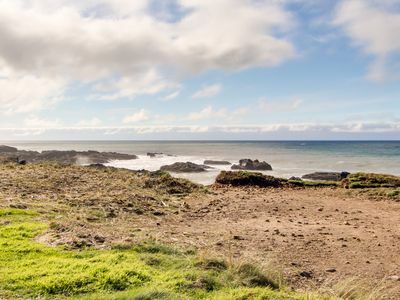 Jog for miles or explore the mouth of the Alsea River where it's fun to watch fishing boats haul in fresh salmon and dungeness crab. 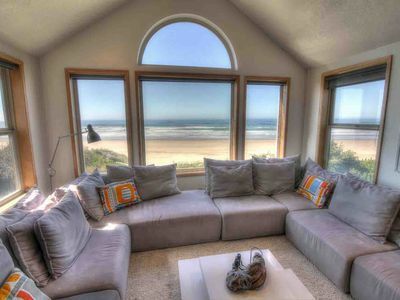 The views in this home are endless, framed by a wall of windows facing the mighty Pacific. 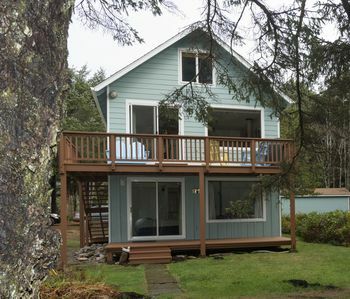 Alicia by the Sea is a bright an sunny one level floor plan situated on a quiet country cul de sac right on the ocean. 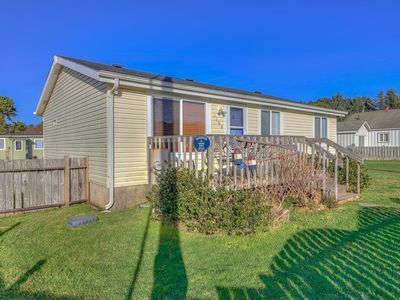 There are 3 bedrooms plus a private den and 2 full baths with a game room in the garage. 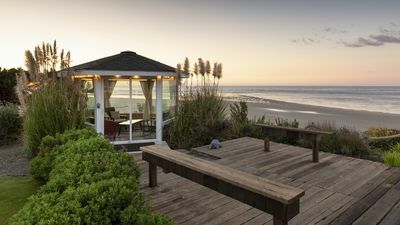 In the front courtyard, protected from the afternoon breeze, is an ocean view hot tub and a picnic table set in a natural coastal garden setting. 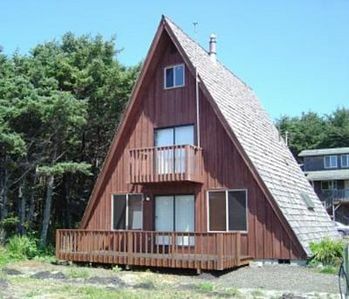 One bedroom, set away from the others for privacy, has a queen bed, ocean view and shares a full bath. 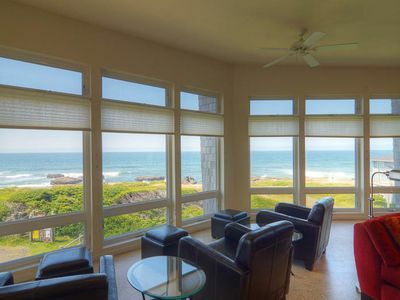 On the other side of the home is the master bedroom with a king bed and commanding ocean view. The master shares a large full bath with the other bedroom on this side of the home, which features a king bed that can be split in to 2 twins with advance notice. There is also a private den with a queen sleeper sofa (a perfect 4th bedroom) down the hall. This Sweet Home has a very comfortable floor plan and you are sure to feel relaxed by the setting, the soothing color palate and design of the home. 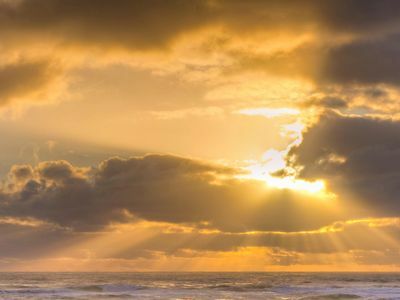 From lighthouses to forest trails and scenic lookouts, the list of activities and sights to enjoy is endless! 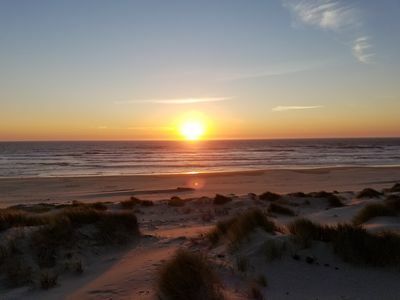 The quaint town of Waldport is an excellent location to base all of your central coast explorations from. 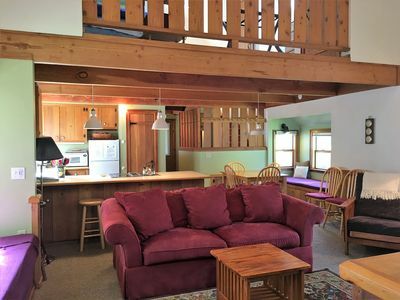 Sleeps up to 11 - 3 Bedrooms + den, 1 King, 1 King (that can be separated into two extra long Twin beds -- with prior notice), 1 Queen and 1 Queen sofa sleeper and 2 twin rollaways, 2 baths. Cancellations & Refunds: The total cost of the reservation, less a 10% service charge, is refundable up to 45 days prior to check in. After the 45th day to check in has passed, there is no refund. 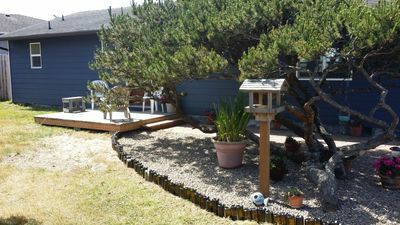 Dog-friendly, ocean-front home w/path down to the beach! Free WiFi & cable! 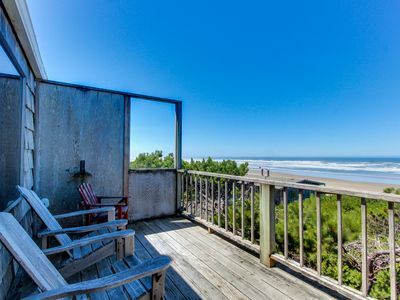 Cozy dog-friendly condo with loft near the beach! 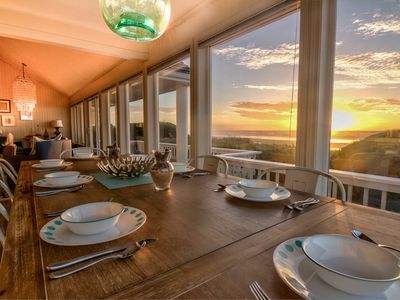 Enjoy ocean views & more! 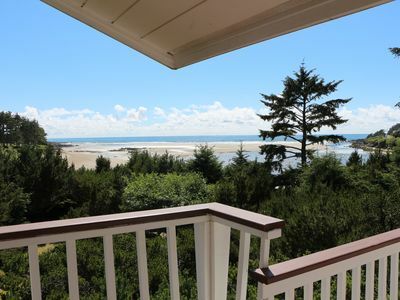 Oceanfront Home on Miles of Sandy Beach! 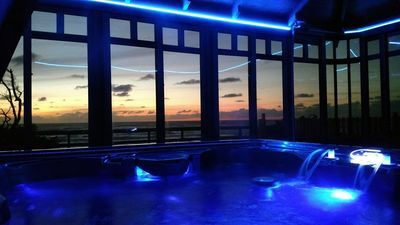 Hot Tub / Game Room! 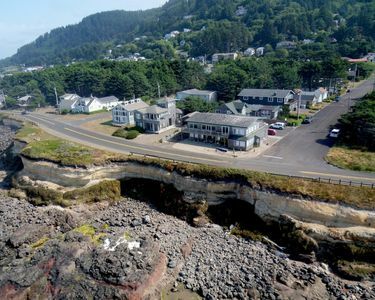 Near Yachats Free Night! Awesome location! Start of beach and 804 Trial ! Ask about a free night. Huge waterfront home w/ hot tub, & views - close beach access & dogs OK! 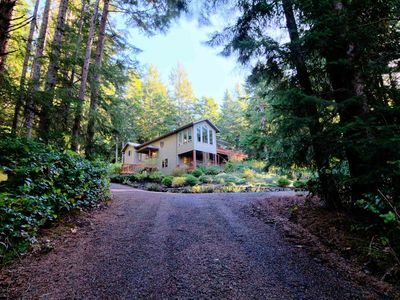 Yachats Vacation Rental Surround By Forest! 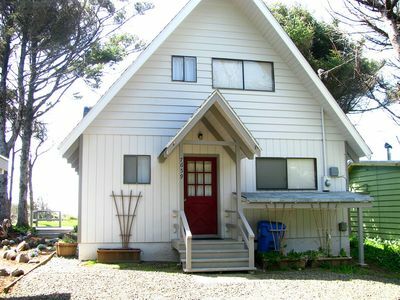 Close to Ocean, Dog Friendly! FREE NIGHT! 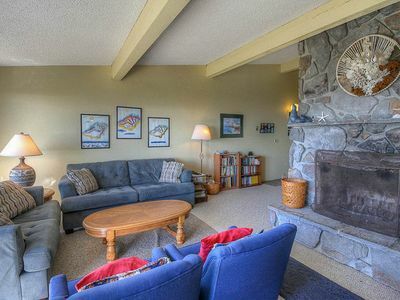 Modern Condo with Wood Burning Fireplace and Great Location!